The Government has stepped in to guarantee the entire Irish banking system. The development covers the six main Irish-owned financial institutions: AIB, Bank of Ireland, Anglo Irish Bank, Irish Life and Permanent (which owns Permanent TSB), EBS Building Society and Irish Nationwide. The deal means the State will guarantee all the debts and deposits of the banks and building societies. The deal is like an insurance policy where financial institutions will be charged for state cover. It is designed to improve the liquidity of the banks, which have suffered enormous falls in share prices. 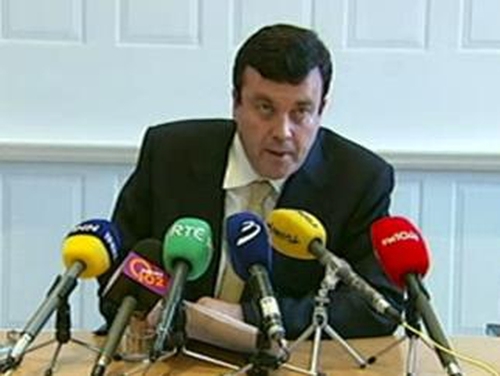 Minister Brian Lenihan warned that any banking collapse would have catastrophic economic consequences. He said his personal view was US authorities were mistaken in allowing Lehman Brothers to go to the wall. The Minister said his measures were designed to improve confidence in the Irish banking system. The Central Bank said today's decision was taken to protect financial stability and to enable financial institutions to access funds and to provide credit to companies and households. In a statement, it said recent international events had been 'unprecedented', and the turmoil on the markets had been having an increasingly negative impact on the availability of funding for Irish credit institutions. The Central Bank said it would 'continue to very closely monitor the situation in the period ahead'. The Department of Finance says the step is being taken to remove any uncertainty surrounding banks. It adds that it is a very important initiative by the Government designed to safeguard the Irish financial system. 'The decision has been taken by Government to remove any uncertainty on the part of counterparties and customers of the six credit institutions,' a statement from the department said this morning. 'The Government's objective in taking this decisive action is to maintain financial stability for the benefit of depositors and businesses and is in the best interests of the Irish economy,' it added. 'This very important initiative by the Government is designed to safeguard the Irish financial system and to remedy a serious disturbance in the economy caused by the recent turmoil in the international financial markets,' the statement concluded. The Irish market has reacted positively to the statement on the guaranteeing of deposits and loans in Irish owned banks. The ISEQ index closed up almost 8% at 3,551 this evening, with bank shares gaining strongly. This morning's move is in addition to the guarantee for deposits of up to €100,000 announced by the Government recently. The scheme announced this morning does not apply to the liabilities of Ulster Bank, National Irish Bank or Rabobank, which are all supported by large overseas parent banks. Deposits of up to €100,000 in Ulster Bank, First Active and IIB, have already been guaranteed by the Government. National Irish Bank, owned by Denmark's Danske Bank, said it was also covered by the Irish scheme. 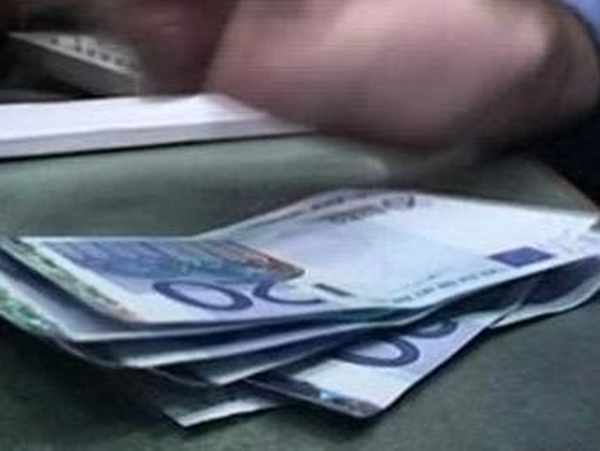 Rabobank comes under the Dutch scheme which guarantees €38,000.